Three seasons in (and with a fourth on the way), Agents of S.H.I.E.L.D. hasn’t quite mastered the art of letting go. It stuck Ward to the series at least a season beyond the character’s usefulness, clinging equally to flat characters like Lincoln, questionable viewpoints like Skye’s righteous indignation, or commitment to valued characters like Bobbi and Hunter. Changing Ward into an ancient Inhuman monster seemed potentially a step in the right direction, but where “The Inside Man” might have taken time to tell us more about that change, the hour instead doubled down on his vague abilities, even walking back his creepy appearance to something more budget-friendly. The in-betweens of tonight’s A-story do their best to make up for that, bringing back fan-favorites like Talbot and the Absorbing Man* to explore the idea of world leaders discussing Inhumans, and turning the affair into one of the breezy spy missions in the show’s wheelhouse. It’s an uncomplicated approach to what could be complicated material, but at least on part with the series’ honed use of moving parts. Agents has only so much budget, and influence on the Marvel universe around it, one wonders what global implications could really emerge from such a small, preliminary meeting of world figures anyway. *Creel in particular has a vague enough characterization that once Talbot identified him as on our side, it seemed an obvious misdirect to have Hunter suspicious at every turn, but the reveal of Talbot himself as a traitor was well-hidden. "Always hide in plain … wait, why are either of us wearing these things?" Oddly enough, the Inhuman angle almost seemed better served back at the base, with Fitz, Simmons and Lincoln discovering that the Absorbing Man’s DNA might be able to reverse the terrigenesis process, not necessarily curing outright, but affording a little more choice in the matter. Obviously, that idea will feel familiar to comic fans, the same way Inhumans have acted like a stand-in for mutants thus far, but the idea is no-less worth exploring, viewed under extreme examples like Lash. What doesn’t quite work, however, is having Skye Daisy act as a mouthpiece for Inhuman pride, given the culture and process should still feel relatively new to her, and far easier to not have experienced some of the harsh transformations we’ve seen. They at least attempted to walk back her “militance” in conversation with Lincoln, who himself works far better as a voice for the cause than Daisy herself. And really, the less emphasis Agents of S.H.I.E.L.D. puts on their relationship, the better. There has to be recognition for stories that serve no purpose to the overall story. I know neither of their names, and am way more invested in this relationship. 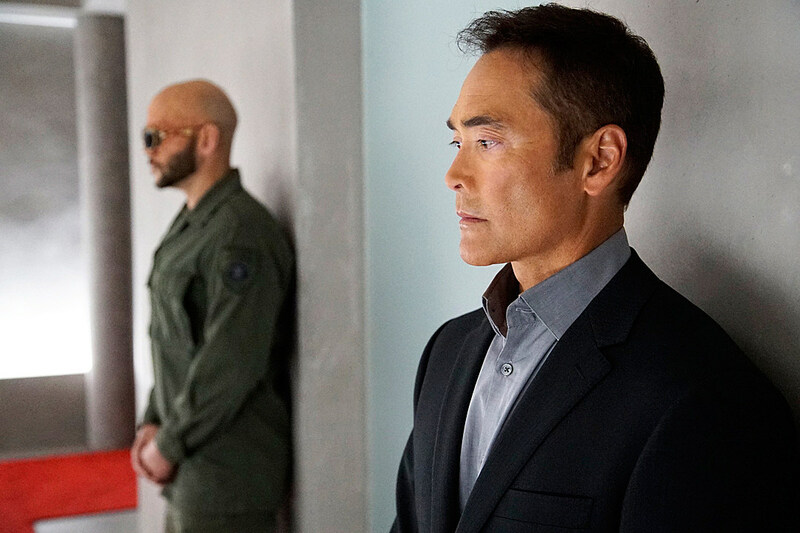 The hour didn’t set very many lofty goals, beyond developing the rapport between Coulson and Talbot, and cluing the team into a higher authority than Gideon Malick, which is more attention than fleshing out Ward’s new identity garnered. We’re even left on the cliffhanger of Bobbi and Hunter headed to Russia alongside Talbot and his new co-conspirator, surely the first signs of a spinoff into their own series, and no bump in confidence to the series’ ability to back out of bad decisions. What is Ward/Hive actually gaining from all those stock footage TVs? Was Talbot going to leave Creel at the airport, that he couldn’t mention to Coulson that his bodyguard was a few paces behind? If Creel’s skin was made of rubber at that moment, why wouldn’t Coulson’s bullets work? Incidentally, Creel’s powers came from a potion of Loki’s in the comics, but if we were going to learn a bit of his “experiment” backstory, why not throw in a Hell’s Kitchen boxing reference for good measure? 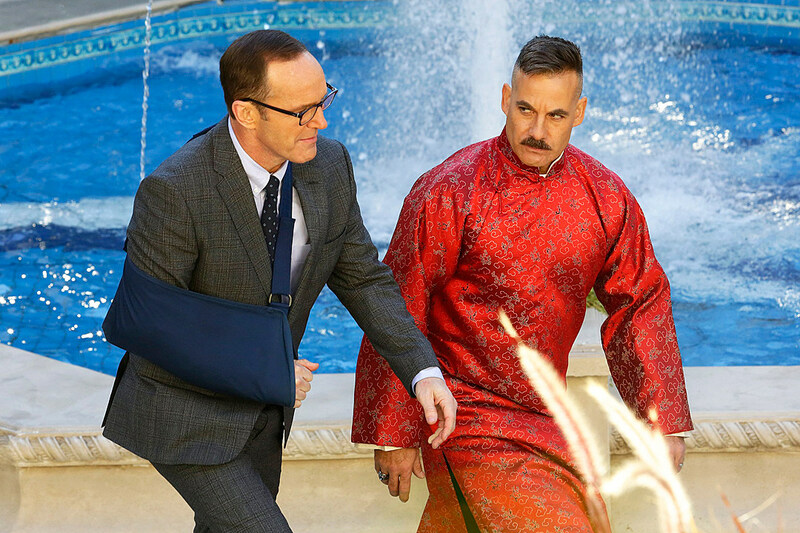 I had to laugh at Talbot dramatically undoing Coulson’s sling. Was that … somehow a disguise? Was there a reason to keep mentioning the Australian delegate’s captive, and released-offscreen Inhuman? Hey, “Watchdogs.” That’s a thing. I’ll admit that the red skeletons made for a creepy visual, but returning Ward to his regular appearance is just boring. Agents of S.H.I.E.L.D. will return on March 22 with “Parting Shot,” airing at 9:00 P.M. on ABC.